From the bestselling author of "The Unlikely Pilgrimage of Harold Fry" comes""an exquisite love story about Queenie Hennessy, the remarkable friend who inspired Harold's cross-country journey. A runaway international bestseller, "The Unlikely Pilgrimage of Harold Fry" followed its unassuming hero on an incredible journey as he traveled the length of England on foot--a journey spurred by a simple letter from his old friend Queenie Hennessy, writing from a hospice to say goodbye. Harold believed that as long as he kept walking, Queenie would live. What he didn't know was that his decision to walk had caused her both alarm and fear. How could she wait? What would she say? Forced to confront the past, Queenie realizes she must write again. In this poignant parallel story to Harold's saga, acclaimed author Rachel Joyce brings Queenie Hennessy's voice into sharp focus. Setting pen to paper, Queenie makes a journey of her own, a journey that is even bigger than Harold's; one word after another, she promises to confess long-buried truths--about her modest childhood, her studies at Oxford, the heartbreak that brought her to Kingsbridge and to loving Harold, her friendship with his son, the solace she has found in a garden by the sea. And finally the devastating secret she has kept from Harold for all these years. 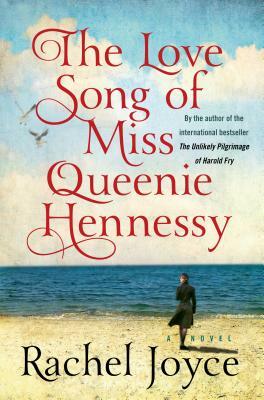 A wise, tender, layered novel that gathers tremendous emotional force, "The Love Song of Miss Queenie Hennessy "underscores the resilience of the human spirit, beautifully illuminating the small yet pivotal moments that can change a person's life. Praise for Rachel Joyce's "The Unlikely Pilgrimage of Harold Fry"
" A] gorgeously poignant novel of hope and transformation."" --O: The Oprah Magazine"
""The Unlikely Pilgrimage of Harold Fry" is not just a book about lost love. It is about all the wonderful everyday things Harold discovers through the mere process of putting one foot in front of the other." --Janet Maslin, "The New York Times. Rachel Joyce is the author of the international bestsellers "The Unlikely Pilgrimage of Harold Fry "and" Perfect." She is also the award-winning writer of more than twenty plays for BBC Radio 4. She started writing after a twenty-year acting career, in which she performed leading roles for the Royal Shakespeare Company and won multiple awards. Rachel Joyce lives with her family on a Gloucestershire farm.